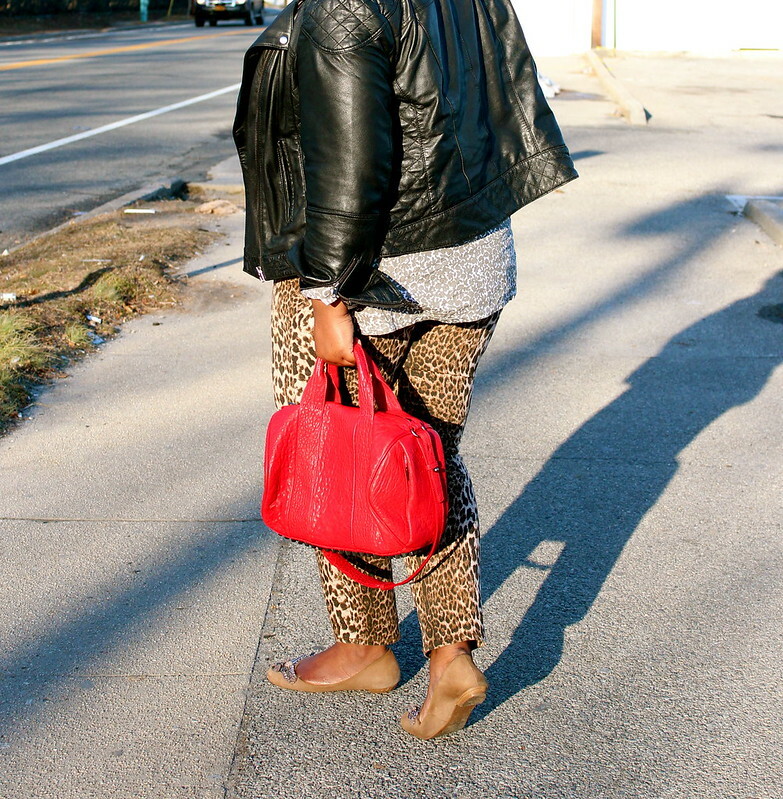 I'm wearing an Asos leather jacket, thrifted Liz Clairborne shirt, Lane Bryant leopard jeans (similar), Banana Republic jeweled flats, Alexander Wang bag, and Topshop necklace (similar). Super cute... i'm a sucker for anything leopard and you rocked it well!! awesome as usual!! @Emijaa Jaaemil I'm a sucker for it too lol. Its so easy to wear even for a loud print. 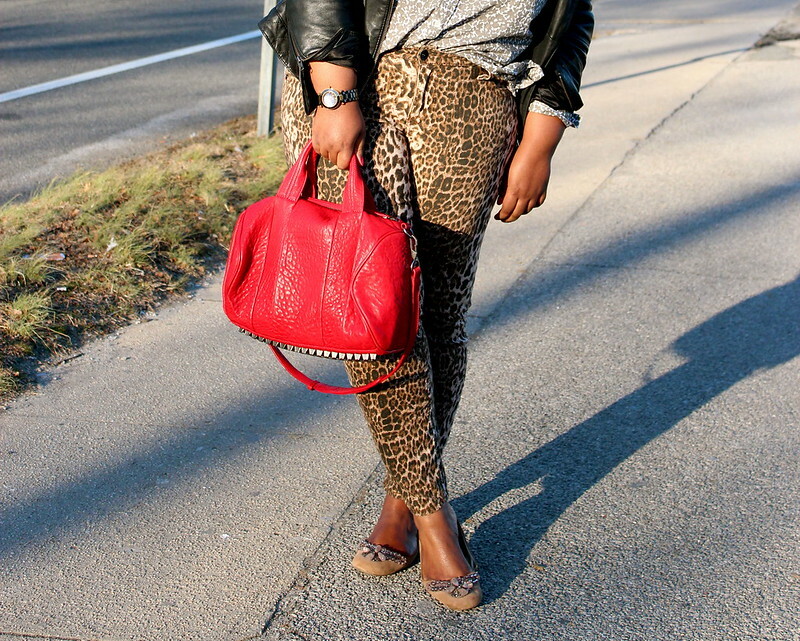 I absolutely love those leopard print jeans on you! That Alexander Wang bag...WOW, just WOW! I drooled a little bit while browsing this post *wipes mouth* lol great mix of prints! 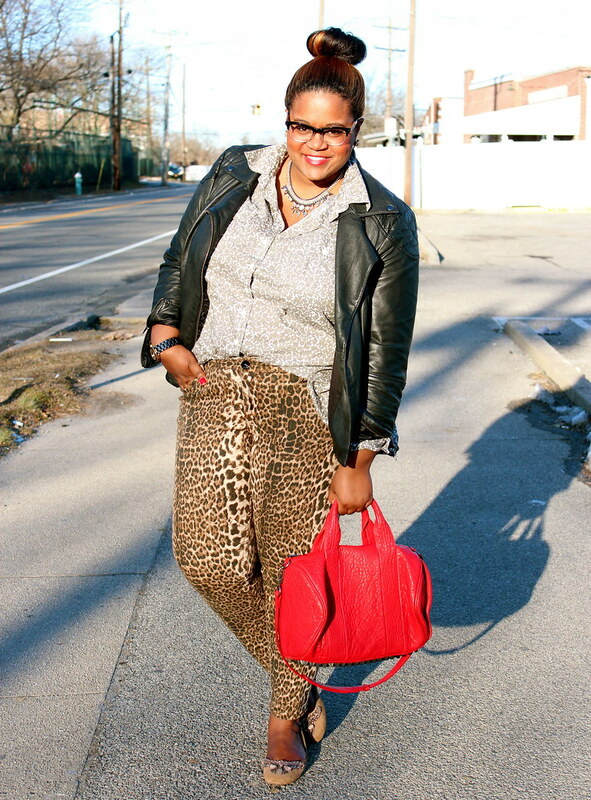 @blackbutterfly I tend to drool at these leopard pants too! No lie! !